Bey-Ling Sha, Ph.D., APR, is professor of public relations in the School of Journalism & Media Studies at San Diego State University, acting during the 2018-2019 academic year as associate dean in the College of Professional Studies and Fine Arts. 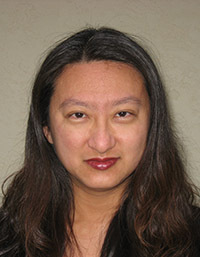 Dr. Sha is an awards-winning public relations researcher, teacher, and practitioner, who is active in professional and community organizations. Dr. Sha’s primary research program examines the intersection of identity and public relations, and she is the 2018 winner of the Institute for Public Relations’ Pathfinder Award, a lifetime achievement award recognizing an original program of scholarly research. Also in 2018, she was recognized by San Diego State University with its Alumni Distinguished Faculty Award, one of the highest campus honors, in recognition of her contributions to both her academic discipline and to the University. Her other research areas include international public relations, activism, and gender. Dr. Sha’s scholarly work has been published in Journal of Public Relations Research, Public Relations Review, Public Relations Journal, Journalism & Mass Communication Quarterly, and Journal of Promotion Management, as well as various book chapters. She is co-author of Intercultural Public Relations: Theories for Managing Relationships and Conflicts with Strategic Publics, published by Routledge. Dr. Sha is also the 2016-2021 editor-in-chief of the Journal of Public Relations Research. For her teaching, Dr. Sha was honored by the Public Relations Society of America as its 2012 Outstanding Educator of the Year. 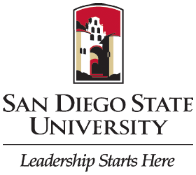 She also won the 2007 Outstanding Faculty Award from San Diego State University and the 2004 Outstanding Faculty Award from the University of Maryland, College Park. With Dr. Glen Broom, Dr. Sha co-authored the 11th edition of Cutlip and Center’s Effective Public Relations, one of the world’s leading textbooks in the field since its first edition was published in 1952 by original co-authors Scott Cutlip and Allen Center. Prior to becoming a full-time educator, Dr. Sha worked as a public affairs officer for the U.S. Census Bureau, where she helped oversee the execution and evaluation of the promotional campaign for the 2000 census. The census campaign won a 2001 Silver Anvil Award of Excellence from the Public Relations Society of America. Dr. Sha has also done paid and pro bono consulting work in public relations, with such clients as Microsoft Corp., Perrier-Vittel, and Premier Aircraft Sales Inc., among other organizations. The San Diego chapter of the Public Relations Society of America named Dr. Sha its 2007 Professional of the Year. Her pro bono professional work won the 2010 Outstanding Advocacy Award from the National PTA® and the 2005 President’s Award from the International Listening Association. Nationally, Dr. Sha was the 2014 chair of the Universal Accreditation Board, which oversees the world’s largest certification program in public relations. She also chaired the UAB’s research work group from 2010 to 2012, overseeing the Practice Analysis that forms the foundation for updates to the APR examination in 2016. Previously, Dr. Sha served the Public Relations Society of America as the 2010 and 2011 chair of its National Committee on Work, Life & Gender. She holds a Ph.D. in mass communication from the University of Maryland at College Park. She is Accredited in Public Relations by the Universal Accreditation Board.